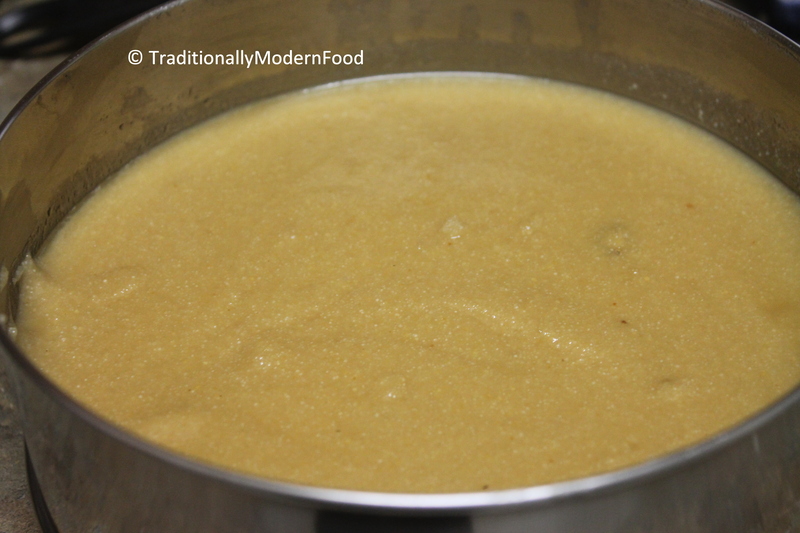 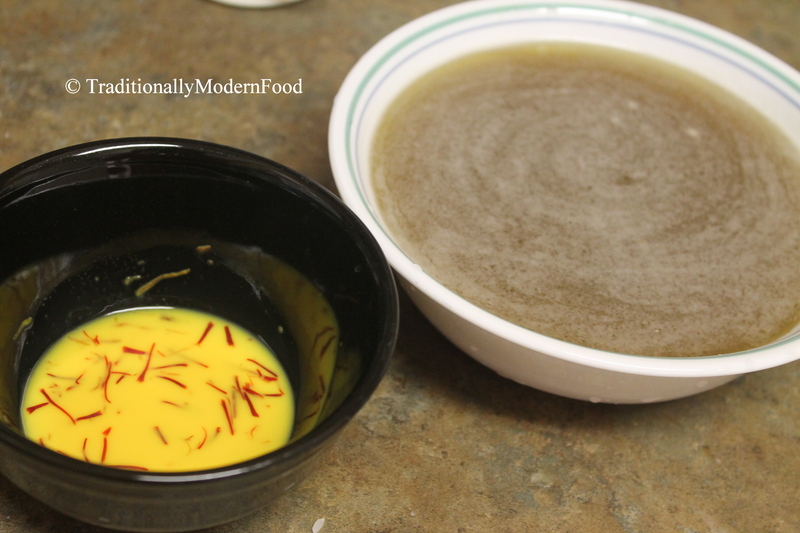 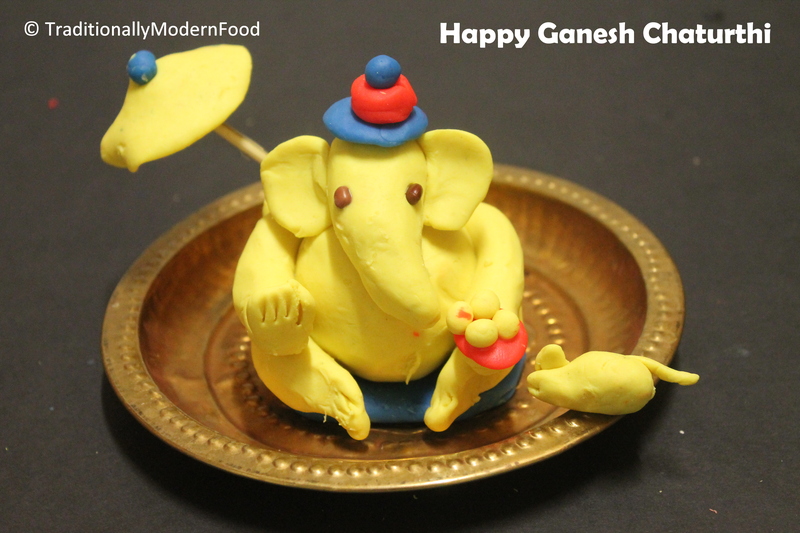 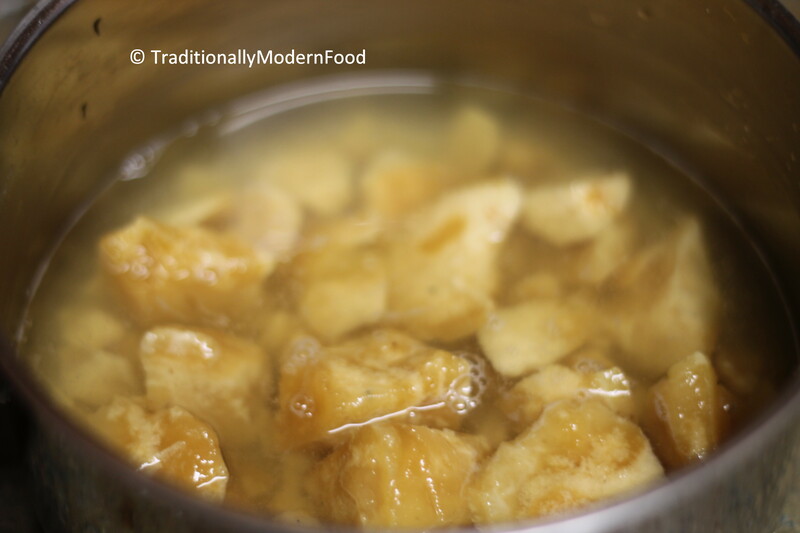 After the jaggery completely melts in water, strain the impurities. 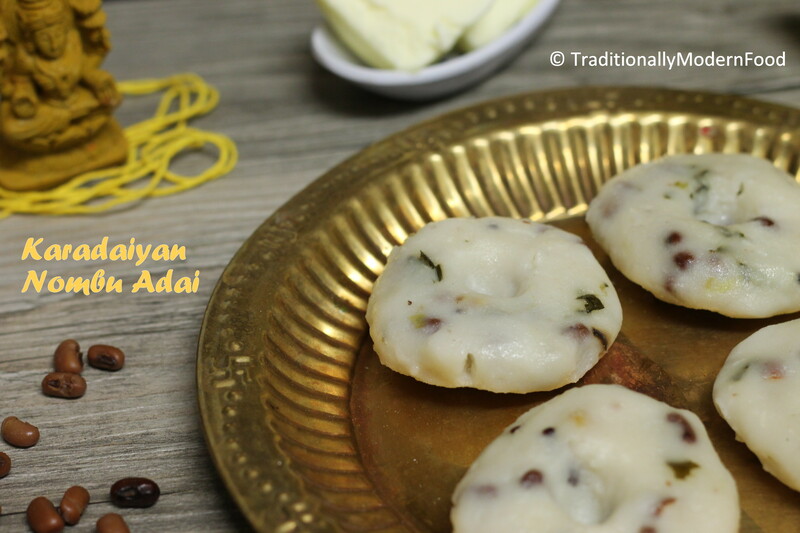 Steam it in a greased idli plate for 10-12 mins. 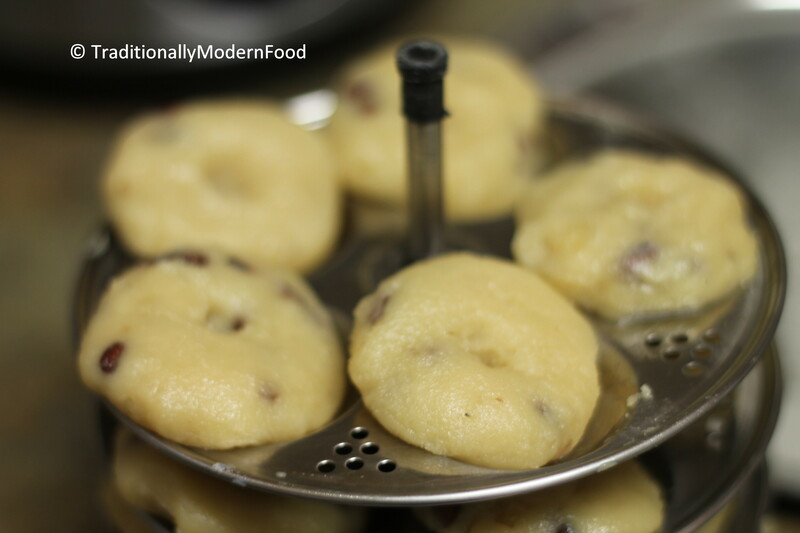 When it is warm make small balls and flatten it into patties and make small holes in the middle as we do for pinwheels. 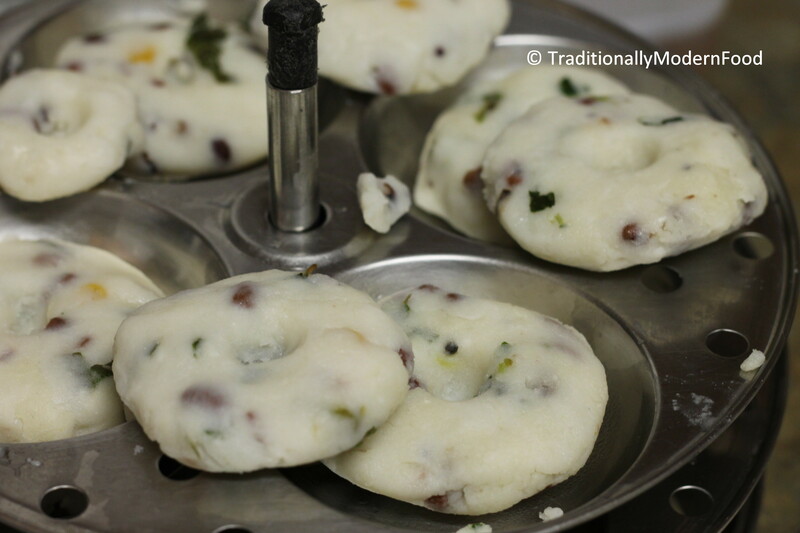 Steam it in greased idli plate for 10-12 mins. 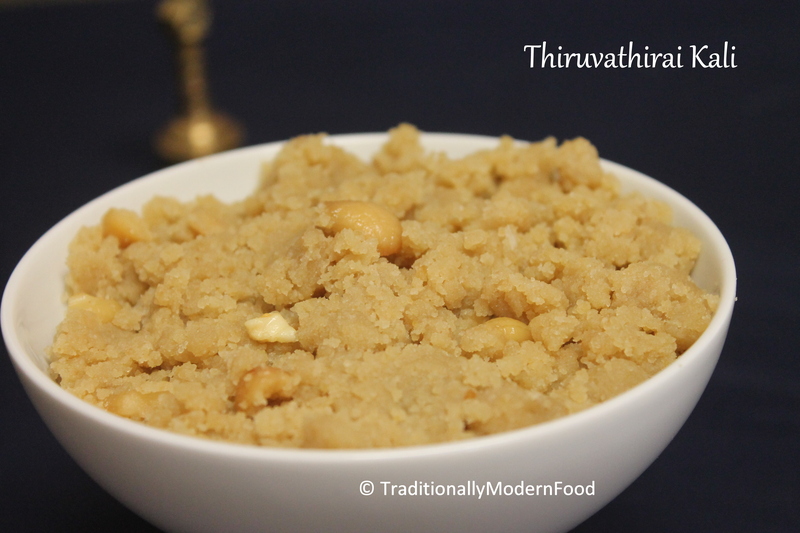 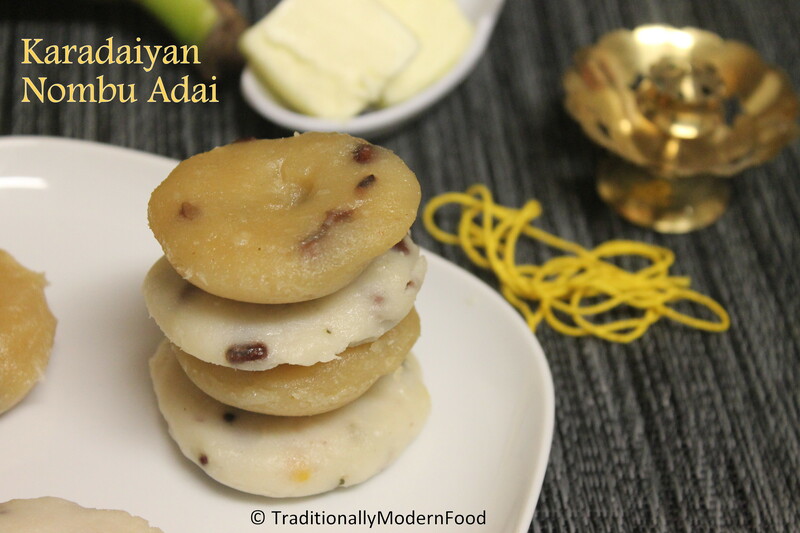 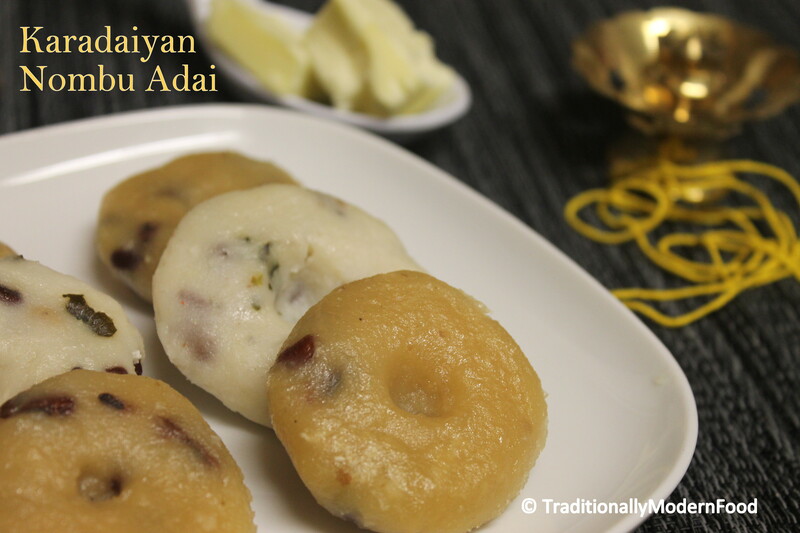 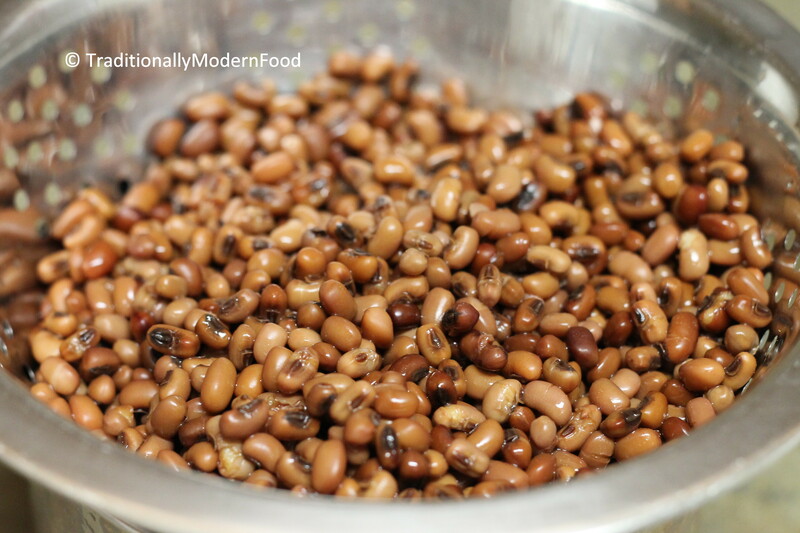 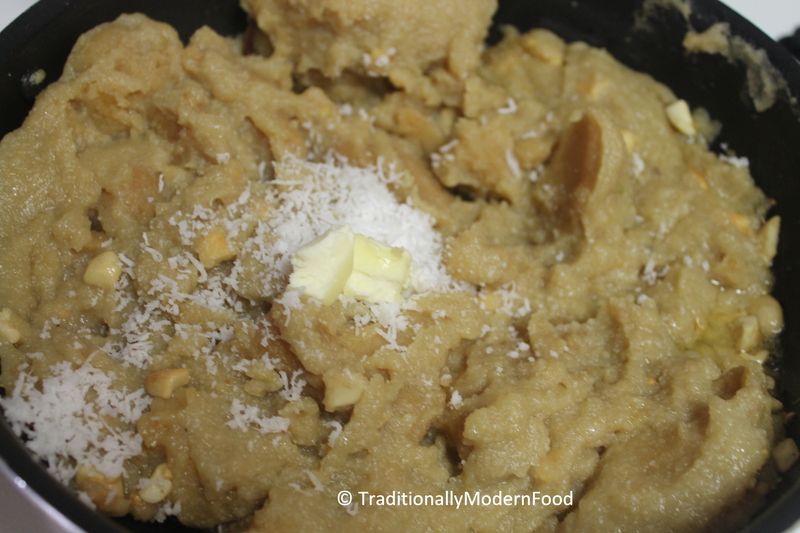 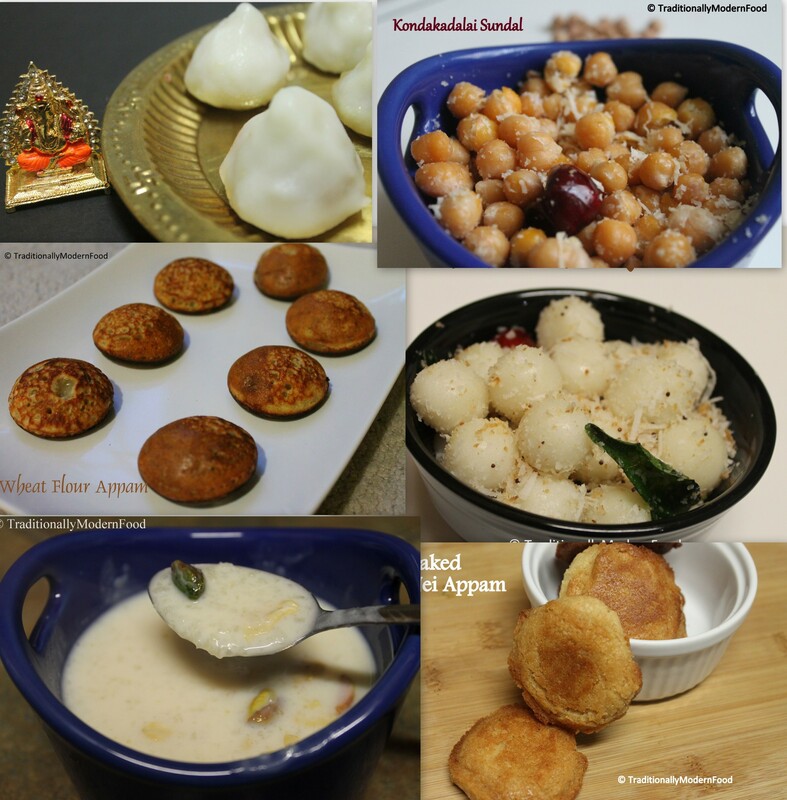 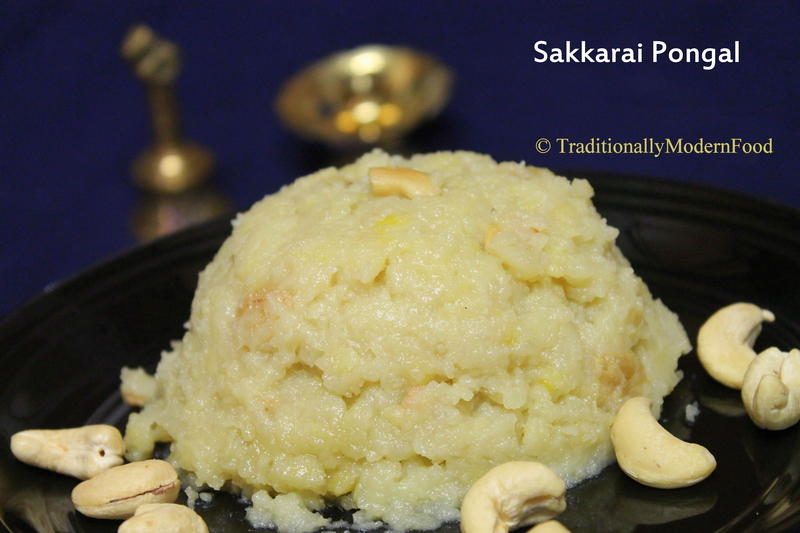 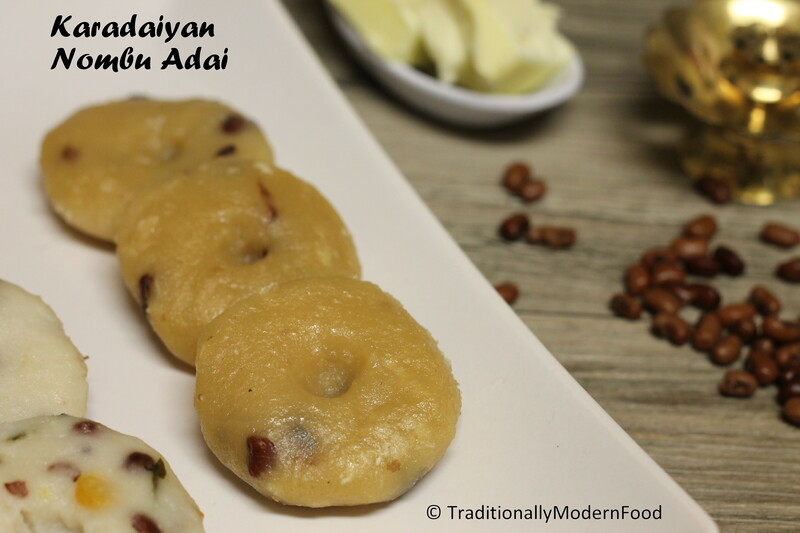 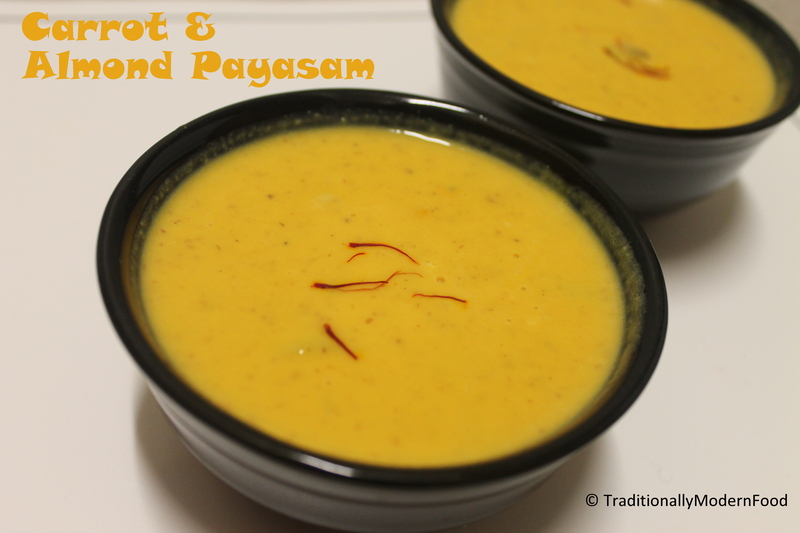 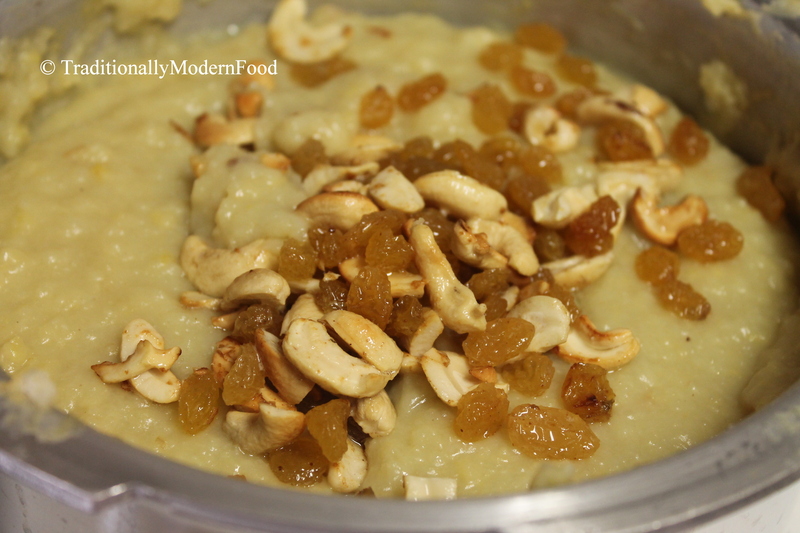 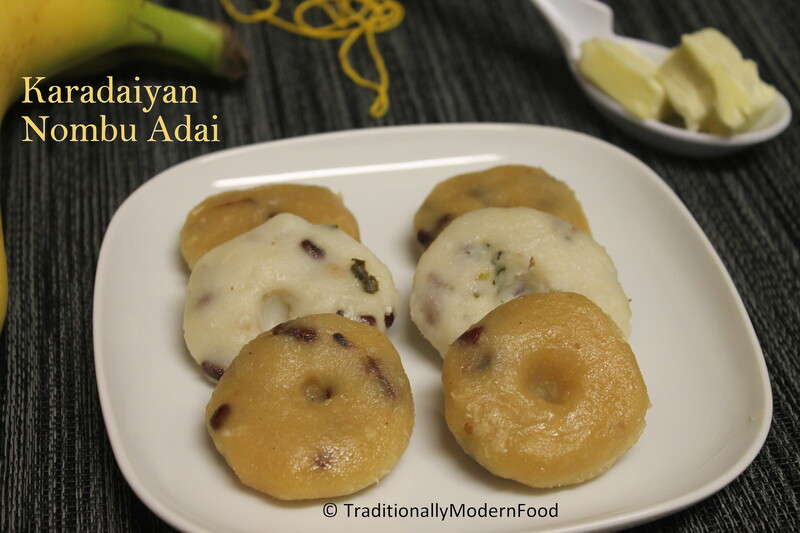 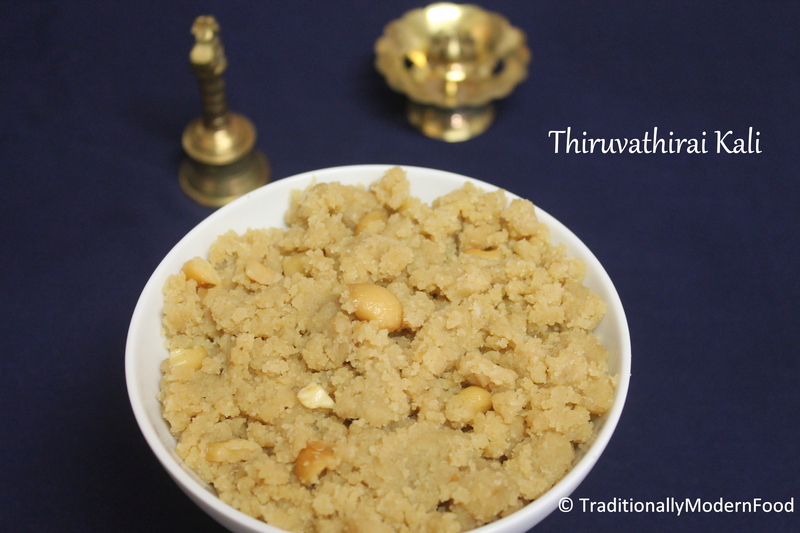 For me Sakkarai Pongal is not only a festive sweet, but a sweet which I love to eat frequently. 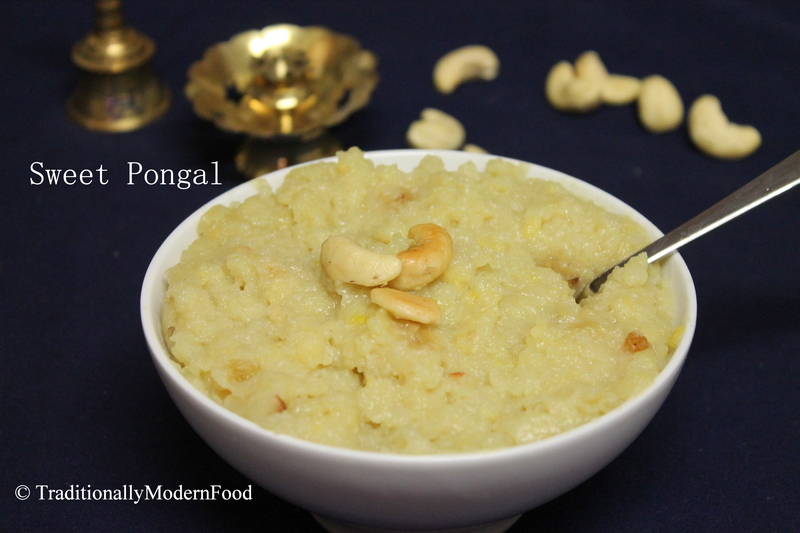 There is one rule in our home (well its imposed by me;-)) whenever my Amma cooks Ven Pongal, Sakkarai Pongal should be in dining table, then only I will eat Ven pongal:-p till date my sister pranks at me, telling about stories like this. 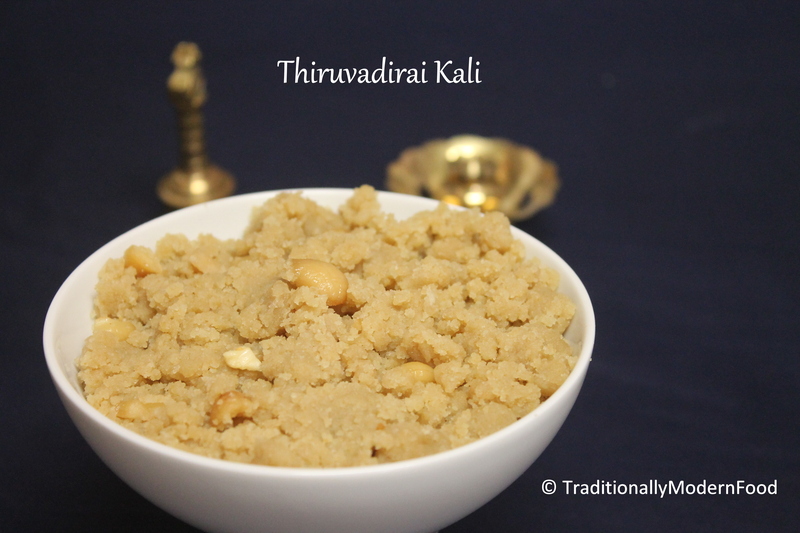 Not only at home, even in temple I love Sakkarai pongal. 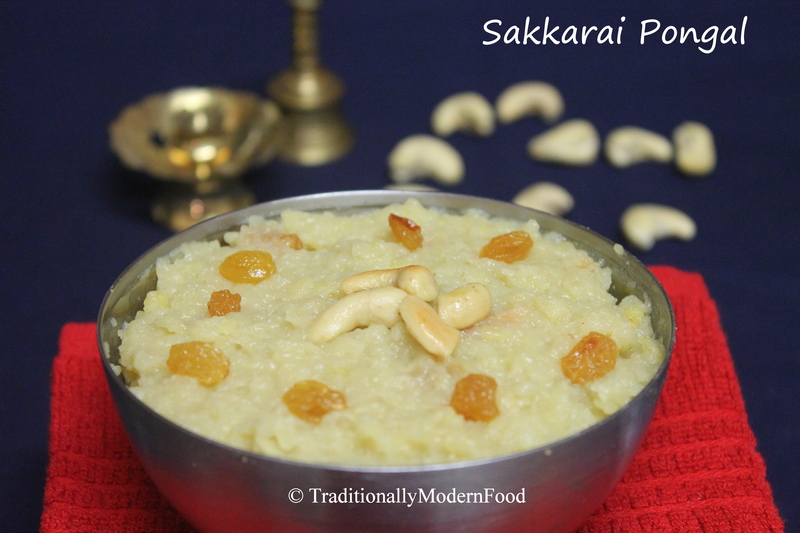 Whenever my Amma goes to any temple I will demand her to get Sakkarai Pongal. 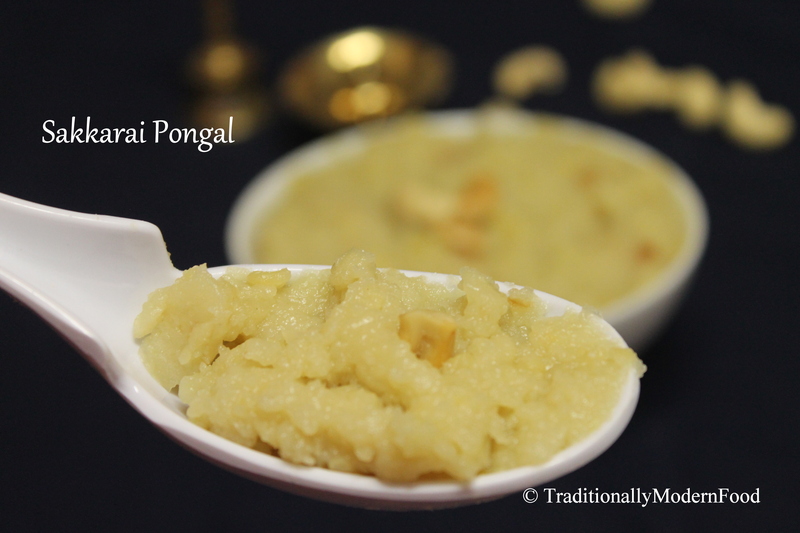 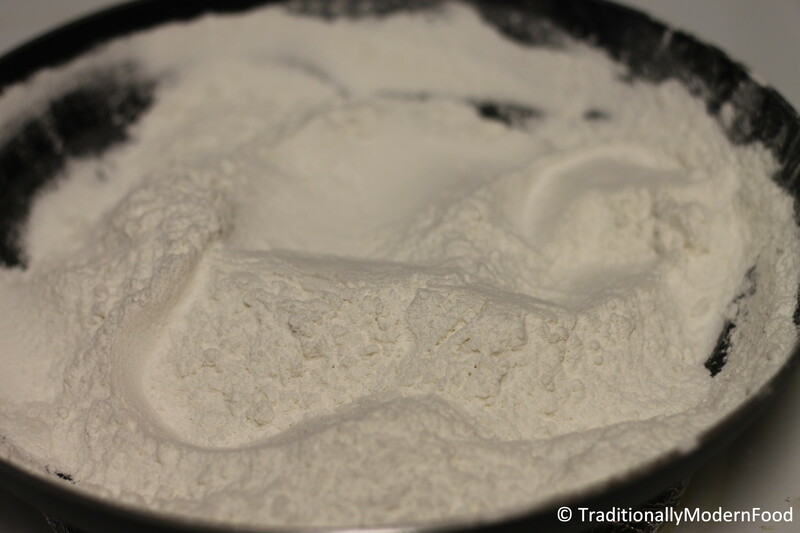 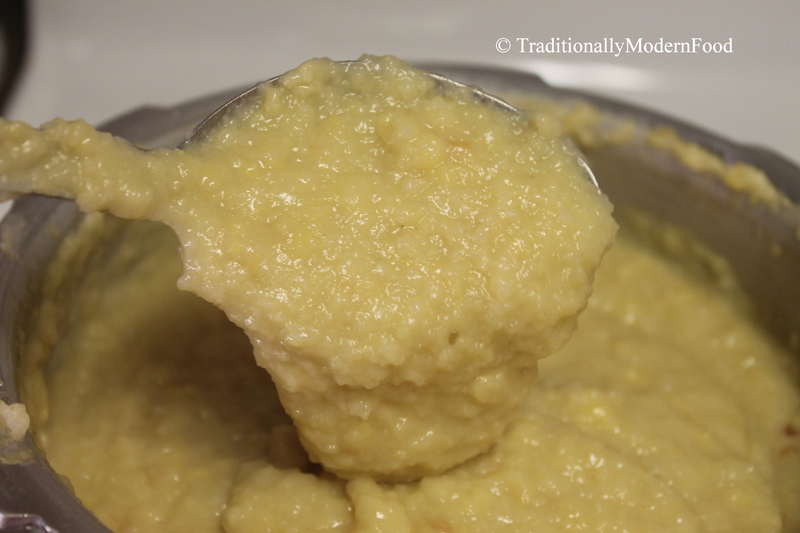 My Amma adds milk to the pongal, which is my favorite part of Sweet pongal.